Dance – Crap Mariner has an article about dance in the One Billion Rising event. You’ll find it on Inara’s blog: Who Puts the Dance into One Billion Rising? Long, interesting. Restarts – When the simulators are restarted it usually takes just a few hours. Some are experiencing way long times for restarts. Caleb Linden is looking into it. If you have specific information on a long restart, email it to Caleb or file a JIRA Bug Report and mention Caleb’s name. Interesting – There is a huge 220 page, and growing, thread in the SL Forum, How does your avatar look today? A resident by the name of Nostoll started the thread in May 2017. With about 26 posts per page that is almost 6,000 posts residents have made. Posted in Flickr, General Computer Stuff, Mesh, Second Life. Did Photobucket Just Screw You? An article about a change over at Photobucket just popped up in my news stream. 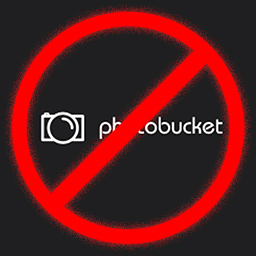 Seems free Photobucket accounts can no longer embed images… you will have to pay for that privilege. But, are they screwing you? No. They have given us free service for years and can no longer afford to do that. So, they have started charging for their service. If you were/are a Photobucket (PB) user you probably didn’t worry much when you saw this post in PB’s blog. At Photobucket, we are committed to providing the best experience and services for all of your photo and image needs. We have updated our Terms of Service, effective June 20, 2017. Please take a moment to review our updated terms and policies as they may affect your account. Posted in Flickr, General Computer Stuff. Tagged Photobucket, sharing. Urgent! – Urgent! – Urgent! Take action to save your Flickr account. Dennyc commented (thanks) on my Flickr Sold article and pointed me to Flickr and Tumblr Users With AT&T Emails Are About to Lose Access to Their Accounts. The Yahoo CEO, Marissa Mayer, that has lead Yahoo into a desperate sale in an attempt to survive and will likely walk away with US$137 million separation bonus for her failure to turn the company around. It is only speculation to say what may have happened if someone else had been CEO. Nor is it possible to know what political in-fighting went on within the company and whether Marissa managed to fail on her own or was the sacrificial goat. What we know for certain is a lot of people do NOT like her. Posted in Flickr, Interesting, Photography VW, Second Life.